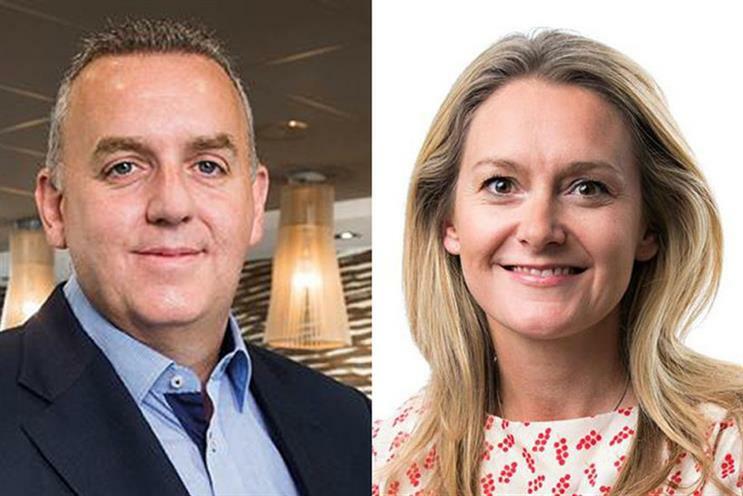 Alistair Macrow, formerly senior vice-president, chief marketing officer at McDonald's UK, has been promoted to a global marketing role based in London. Macrow started this week as chief marketing officer for high growth markets, covering China, Hong Kong, Italy, Poland, Russia, South Korea, Spain, Switzerland and the Netherlands. He joined McDonald’s in July 2007 as UK marketing director, later becoming vice-president of marketing and food, then senior vice-president in January 2014. Before joining the fast food brand, he spent five years at Blockbuster, the last two as managing director of its online division. Emily Somers, who remains as vice-president of marketing and food development, is now the most senior marketer for the brand in the UK. Rachel Forde is to step down as UK chief executive of Spark Foundry after 20 years at parent company Publicis Groupe. Forde has run Spark Foundry, which was previously known as Mediavest, since November 2016. She said she felt it was the right time to leave after the agency rebranded as Spark Foundry globally in July 2017 and she wanted a fresh challenge. RSA Films has signed Trainspotting actor and filmmaker Ewan McGregor for global commercial representation. McGregor’s directorial credits include feature film American Pastoral which he starred in with Jennifer Connelly and Dakota Fanning, and the original short film "Bone", part of Time Out’s "Tube Tales" series based on the true-life experiences of London Underground passengers. VCCP has elevated managing director Andrew Peake to run the ad agency and replace Michael Sugden who is taking on a group leadership role. In a management restructure to reflect VCCP’s ambition to give brands a more integrated offering, Sugden will become chief executive of VCCP Partnership. Hannah Fitz-Gerald, VCCP’s head of account management, will replace Peake and become managing director. Julian Douglas, vice-chairman of VCCP Partnership, will now take on additional responsibility for identifying and realising future revenue streams. Daniel Fisher, the executive creative director of Martin London, has left the Interpublic-owned agency. Fisher – a former deputy executive creative director at Adam&Eve/DDB – joined as Martin London’s first ECD in 2015. His departure follows Martin’s decision not to compete in the UK market, but rather focus its efforts on servicing its global UPS client. Daniel Bonner has joined Wunderman as its global chief creative officer. He left SapientRazorfish in August last year where he was global chief creative officer and part of the agency’s executive leadership team. Prior to SapientRazorfish, Bonner spent 14 years as chief creative officer of AKQA in Europe where he worked with clients including BMW, Diageo, Microsoft, Orange and Samsung. He replaces Lincoln Bjorkman who held the global chief creative officer role since 2013 and who has left to explore new opportunities. Leagas Delaney chief executive Fergus Hay has recruited former Ogilvy & Mather Asia-Pacific colleague Owen Dowling to fill the newly-created role of head of strategy. Dowling, who becomes a partner in the agency, formerly headed up strategy at Social@Ogilvy in the APAC region. Strategy at Leagas Delaney was previously overseen by group chief executive Margaret Johnson. Vice Media has appointed Tammy Willson as general manager of Vice Digital in the UK. Wilson joins the company from News UK, where she held senior positions for five years, most recently as sales director for The Times and Sunday Times. National Express Group appointed Rob Muir as it’s first chief digital officer. He brings more than 20 years of experience in digital and traditional marketing, most recently in the role of senior director at global digital agency, McCann. TMG’s blockchain-enabled media agency Truth has hired Josiah Amartey as UK digital director. Amertey joins from planning and buying agency Rocket (part of OMG) where he was managing partner - digital. He reports to Mary Keane Dawson, chief executive of Truth. Tim Grimsditch has been named as chief marketing officer of Thread, the menswear ecommerce business powered by stylists and AI. Prior to Thread, he was vice president, marketing at Kano, and before that director of product and performance marketing (global) at Spotify. IPG Mediabrands has promoted Kevin Longhurst to head of Magna EMEA. Formerly head of trading and partnerships at Magna, Longhurst will report to Caroline Foster Kenny, CEO, IPG Mediabrands, EMEA. Omnicom-owned insight and strategy agency Flamingo has hired Stine Hedegaard as a director in its specialist style team. Hedegaard has more than 16 years’ experience in consumer insights and qualitative research, advising management on strategic issues, organisational change, innovation and product development based on future consumer demand. Bidooh, the digital out-of-home (OOH) platform, has appointed a new business development director to bolster its ambitious expansion plans.Graeme Hughes, who has held senior positions at Primesight, Titan and JCDecaux, joins from Edifice, where he has spent the past year working as a business development director. Launch marketing specialist Five by Five has named Paul Cottrell, former creative director at McCann and Ogilvy, as the agency’s new executive creative director. Moneysupermarket.com has named former Sainsbury’s and Heineken marketing director Sarah Warby as a non-executive director with effect from 1 June 2018, subject to regulatory approval. She will be a member of the audit, risk, remuneration and nomination committees of the board. Social publisher, The Hook, has appointed Elliot Willis as its commercial director managing all revenue streams. Willis has worked at ITV, ChannelFlip and most recently Endemol Shine as sales director. He reports to The Hook Group co-founder, Andy Fidler.